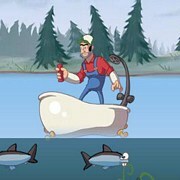 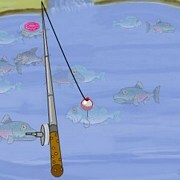 Description: You play as a kid that is fishing a small stocked pond in this game. 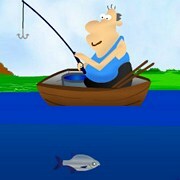 Your goal is to catch as many fish as possible in 1 minute. 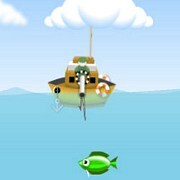 What I love about this game is the clean graphics and funny fish species you can catch. 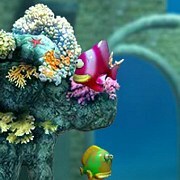 They are goofy looking, Some of the species include Gold Fish, Pug Fish, Green Sting Ray, Sun Fish, Ice Fish. 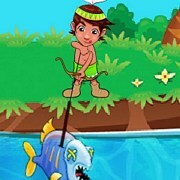 This is a great one for younger kids because its so simple and easy. 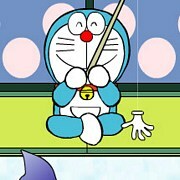 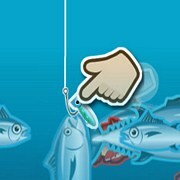 Instruction: Try to achieve the highest score by catching a lot of fish in 60 seconds. 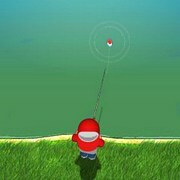 You can go back to the main menu to view your catches. 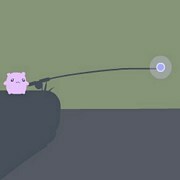 Game Controls: Use your mouse button to cast out and reel in.